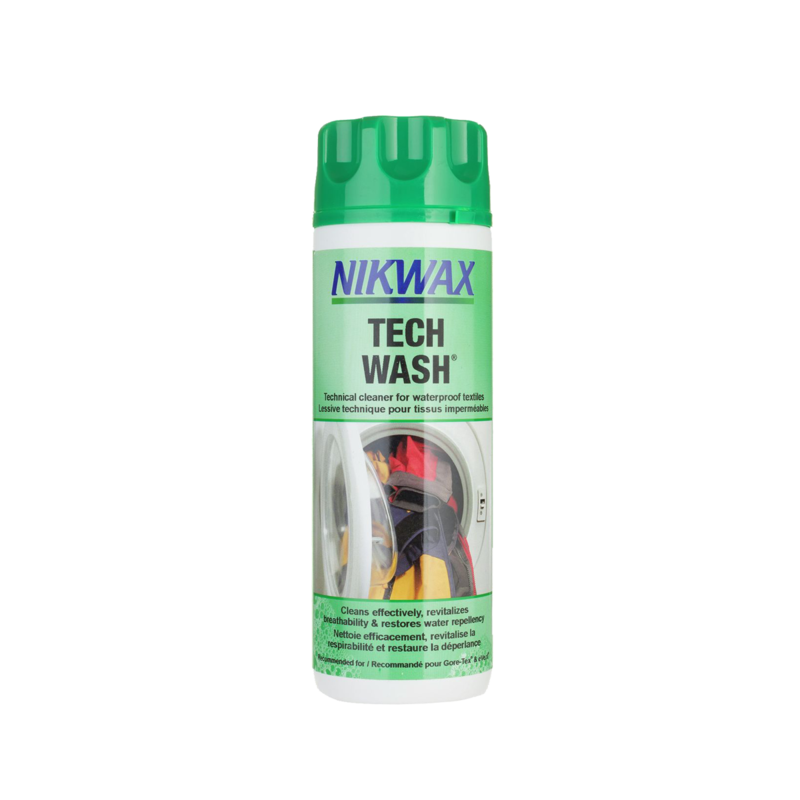 Nikwax Tech Wash easily and safely removes residue left by detergents. Ideal for wet-weather clothing and equipment, it prolongs the effective lifespan of technical outerwear. High-performance, low-impact solution revives breathability and water-repellency while enhancing the performance of Nikwax waterproofing treatments (sold separately). Water-based and biodegradable formula contains no fluorocarbons or VOCs. Nikwax is a global leader in safe, high-performance waterproofing and cleaning solutions for clothing, footwear and equipment.